Memoirs will always be a personal account of a life and therefor naturally miss out areas of lesser interest. That’s the author’s prerogative. I would have liked to learn more about the WW2 part and felt the general statements about how Hungarian knew little about what Hitler stood for difficult to comprehend, equally the passage about the homosexual communist party official, whose ‘perversions’ gave the author an advantage. I found it hard to listen to a female voice narrating a man’s story in the first person, which kept me at a distance to the story often. All that said, there are great passages and informative and thought-provoking snippets. 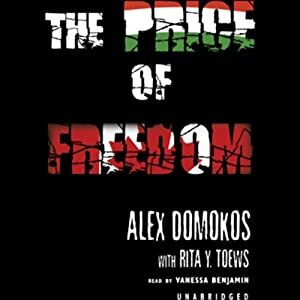 Blurb: Alexander Domokos wrote this memoir of his years during and after the Second World War with two purposes in mind. He wanted to allow his daughter a glimpse into his past and to enlighten others about the tragedy of his homeland, Hungary. Domokos believes that Hungary’s sufferings were due in large part to the unjust peace settlements after the First World War. Even after the Second World War, Hungary underwent more suffering. Even though the West was the victor in the Second World War, Dokomos is asking that the people of the West open their hearts and look more deeply into the effects of the war. He hopes to challenge the victor’s one-sided view in seeing themselves as the sole protector of righteousness. Very intriguing, Christoph. Thanks for sharing. Happy weekend hugs!